As a parent I’m always looking at thrifty ways to live life and provide for my kids. The truth is that family life is expensive and there always seem to be things that need buying. 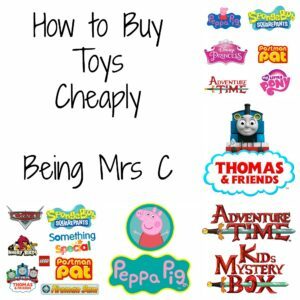 One area where I try really hard to save money though is when it comes to gifts – both for my own kids and for others – and hence I’m always after ways to buy toys cheaply. I’m often trying to pick up things that I know my kids wants for birthday and Christmas in advance when I see them in a sale or promotion, and I also have a “present cupboard” where I pop things that I pick up over the year that can then be used when the children are invited to a birthday party or similar. A recent bit of work for a company that I met at the Toy Fair back in January has shown me another way to buy toys in a thrifty manner. The Amazing Mystery Box started out as geeky subscription boxes that were first launched at Comic Con last October. The company behind them has a wholesale division which specialises in official licensed merchandise meaning that they are able to fill their Amazing Mystery Boxes with a whole range of fantastic products (including a t-shirt in every box) whilst giving the end customers amazing value for money. Customers can either buy one off boxes (priced at £24.99 including delivery) or subscribe so that they receive a box each month. And as well as general geeky boxes they also sell dedicated Doctor Who and Star Wars boxes too. Ideal for those hard to buy for blokes (and women) in your life, especially when it comes to something like Father’s Day. So, where do geeky subscription boxes fit in with kids toys I hear you ask? Well… In addition to selling official licensed merchandise for various sci-fi and geeks tv shows and movies, the company also has a huge range of children’s licensed merchandise too. Everything from Peppa Pig, Thomas the Tank Engine and Fireman Sam through to Frozen, Minions and Adventure Time. Hence they sell children’s subscription boxes which are priced at £19.99 per month and contain approximately £35-£40 of toys. The boxes are generally themed as a girls box and a boys box, but there are obviously some items and characters that appeal to either gender inside. It is also possible to buy both boxes as one off purchases. What I love about these boxes is the fact that you’re getting great value for money, know that you’re getting official licensed merchandise (not something dodgy that you might get on eBay) and also have an array of smaller gifts that you can then use as and when you need them. Either for your own children or as gifts for others. They’re also brilliant to provide you with an number of gifts that could then be used as stocking fillers at Christmas time. 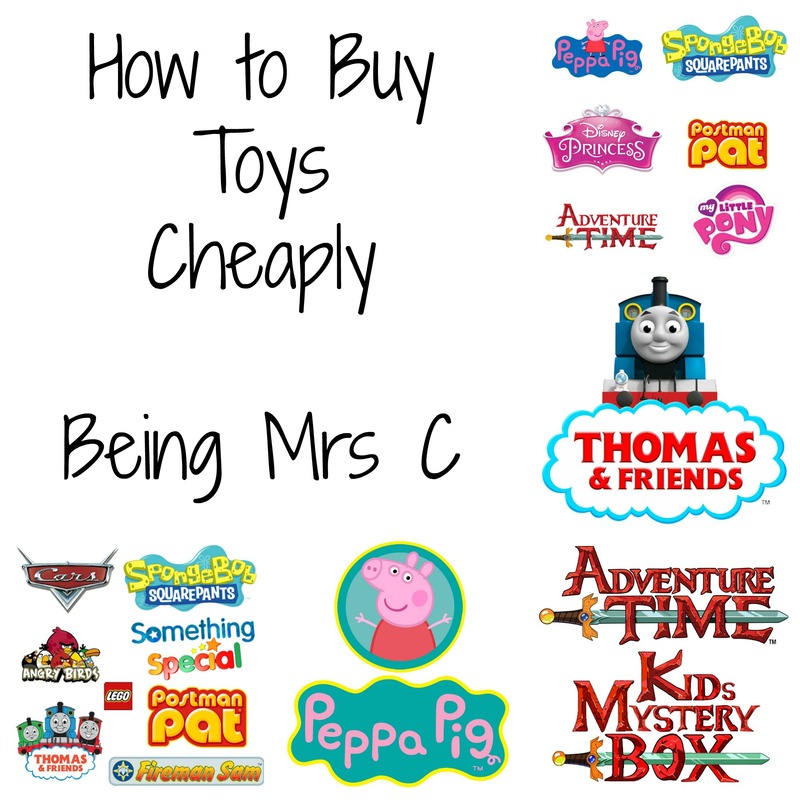 For those children, like Master C, who are focussed on just one character The Amazing Mystery Box has also come up with dedicated one off Thomas and Friends, Adventure Time and Peppa Pig Boxes. Selling at £24.99 including delivery these boxes contain about £40 off official licensed merchandise. A local mum who bought one of these boxes was incredibly impressed with what she received when ordering a Thomas and Friends Box recently. So, if you’re looking to buy toys cheaply I think it’s definitely worth checking out The Amazing Mystery Box and their children’s boxes for offering excellent value for money. Disclaimer: I currently work for The Amazing Mystery Box on a freelance basis. I was not asked to write this post on my blog. All opinions remain my own.